Not everyone can sufficiently appreciate literary competitions and their effect on the rise of future writers. Such contests are often seen as too superficial, entertainment-centric, or skewed because of the given jury. People think participants are merely amateurs pursuing momentary fame, simply fond of experimenting, or taking the path of least resistance. Many reckon that participants won’t become true writers, in any case. Reeli Reinaus (b. 1977), who has scooped up the most awards in Estonian children’s and young-adult writing competitions, stands as proof of the contrary. She has demonstrated clearly that it doesn’t matter which path you take to arrive at literature: it all depends on the specific person and their inner strength, talent, and desire to write. Since winning her first award in a children’s story contest in 2008, Reinaus has written over twenty works for children and young adults. They include short stories about everyday life, books that address common problems, crime novels, thrillers woven with the supernatural, and picture books for toddlers. Altogether, ten of her books came out after placing in various writing competitions. For example, her works The Mysterious Diary (2008), A Totally Normal Family (2010), The Kids of Slum Lane (2012), and Detective Stripes at the Zoo (2013) were published after being entered in the My First Book children’s story competition; The Black Crow (2010), From Sugar and Flour (2015), Weeks That Scrape Skin (2012), and Troubled (2011) made their way to bookstore shelves via a competition for young-adult manuscripts. Recently, the author also took first place in a young-adult playwriting competition with her work The World to Which I Belong. In the jury’s unanimous decision, members highlighted Reinaus’ realistic characters, well-established structure, intriguing topic, and her use of mythology. All of these aspects have been the author’s trademark since the earliest days of her writing. Reinaus’ greatest talent is her knack for noticing life around us. Having entered the children’s literature scene during a period of great changes, with authors generally preferring pure fantasy over realism, she decided to take her writing in a different direction. The haziness and uncertainty over how to approach subjects that were shaking society appeared to not even touch her. True, most of Reinaus’ books also include elements of fantasy, whether they be characters or an overall atmosphere, but they show a social orientation regardless. Reinaus was incapable of being the type of writer who sticks their head into the sand, blindfolds themselves, or remains impartial to what is going on around them. The issues she tackles in her works are extremely visible and acute in today’s world. Superstition, xenophobia, blackmail, selling oneself, non-traditional family structures, and political games are just a few of the issues that surface in Reinaus’ books and cause great public controversy. It is the author’s conviction that real life – that, which readers and their peers encounter every day – must not be shrouded from children behind rosy curtains, but instead introduced, explained, and made understandable to the extent their age allows. However, it is Reinaus’ rejected, isolated, and bullied characters in particular who leave the deepest impressions. There is Mari, who dearly wishes to belong to the group of popular girls but doesn’t feel a strong enough connection with them on an emotional level (Pink Angels, 2014); Pille-Riin, whose love for animals isn’t shared by her classmates or her foster family (Detective Stripes at the Zoo, 2013); and the dark-skinned orphan boy Seth, who just can’t seem to fit in with the other kids at school (The Black Crow, 2010). Although Reinaus writes about complicated situations that seem hopeless at first, she always reveals a way out of the dilemmas. The author is not a card-carrying pessimist and never seals shut the door of possibility for good. Karl, who has turned to the computer world for solace, finds friends in his new city in a very unexpected way. Mari discovers that in addition to their superficial ‘babe’-lives, the “pink angels” dream just as big as she does, no matter that the objects of their dreams differ a little from her own. Secretive Liisi, who has been a village outcast with her family for years, finds common ground with the locals only after the boy Marius moves into town (Marius, Magic, and Liisi the Werewolf, 2017). The author seems to be telling us that everyone is strange, disconnected, and rejected in their own individual ways, but no one is alone forever: they must simply find their true friends and kindred spirits. Reinaus’ young-adult novels also focus greatly on the search for oneself. Her characters often wrestle with parents leaving or being lonely, work on unravelling the complicated relationships they have with one another and strive to find their place in this tough world that offers us so many different choices. Whereas Reinaus can always find at least a grain of understanding for her young characters – be they boys or girls, brave or timid, principled or self-serving – she is significantly more critical of adults. Honesty towards oneself and one’s companions rises to become the most essential of virtues. The large, difficult topics that Reinaus readily takes on are cloaked in a form suitable for children and young adults. Her plots mainly involve solving a puzzle or mystery. Occasionally, the books’ titles already stoke excitement: A Mystery in the Castle Ruins (2009), Old Town Detectives (2017, 2018), and The Verikambi Mill (2016). Yet, more often than not, the horizon of anticipation appears in the book’s first pages. Reinaus generally doesn’t employ a single, one-track chronological narrative. Her stories are frequently populated by multiple narrators and perspectives, an abundance of flashbacks, and “blasts from the past” that play an important role in the plot’s present day. Questions flung into the air throughout the book’s very first chapters to satiate impatient readers keep attentions fixated till the very last page, as the author is marvelous at keeping her secrets. In addition to her realistic problems and characters who resemble actual individuals, Reinaus’ works are recognizably idiosyncratic for their use of mystical and folk motifs that are impossible to interpret uniformly. This shouldn’t surprise anyone who is fairly familiar with the author’s biography. Reinaus graduated from the Tartu Academy of Theology and defended a master’s thesis in folklore at the University of Tartu. Werewolves and nightmares, bog spirits and tooth fairies, trolls and witches: they all have a place in Reinaus’ books. Also common among her works are spells and rituals to break them; amulets; ingenuity; mystical ghosts of the past; and ancient diaries, volumes, and photo albums. All these add a broadening, magical aspect to her writing, as if she wishes to say that life is not all it seems and there are many dimensions more to existence. Reinaus is an expert writer of children’s stories, young-adult novels and plays, and toddlers’ works alike. No matter the genre any one of the books falls into, her writing is, first and foremost, a uniter of people by nature. She laces fascinating connections between the real, the imaginary, and folklore. Merging a mundane view of the world with the supernatural. Her works likewise allow the separate spheres of children and adults to appear united, whole, and safe, fascinating parents and their kids equally. Why should a reader care that the author drew momentum from a writing competition? Critics and experts haven’t been put off by this fact, in any case. Reinaus’ works have been included on the IBBY Honor List (How My Dad Got a New Wife) and in The White Ravens Catalogue (Marius, Magic, and Liisi the Werewolf), not to mention the full cupboard of Estonian awards. What’s more, a number of her books will soon be published in Russian, Polish, and Korean translations. 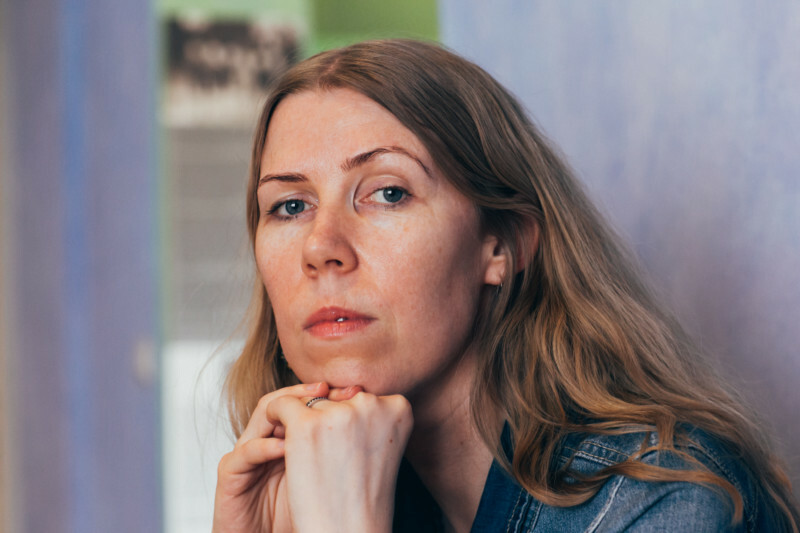 Jaanika Palm is a researcher at the Estonian Children’s Literature Center. 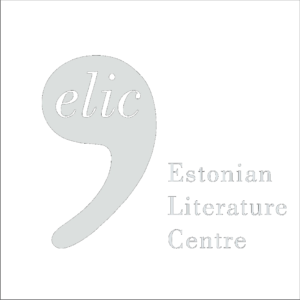 She heads a children’s literature research group, which has been responsible for several publications including The Dictionary of Children’s Literature (2006), the Estonian Children’s Literature from 1991–2012 review (2014), and The Gold Reserve of Estonian Children’s Literature (2018).